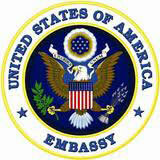 The: U.S. Embassy Jakarta has a vacancy for a Shipping Assistant/Chauffeur (FSN-52/2011), Temporary position until September 2012 or the end of the projects, FSN-6 (Rp. 69,275,463 full performance starting salary) in the Overseas Building Operations (OBO) Jakarta. The incumbent responsible to facilitate the importation, free entry, customs clearance, release and delivery of OBO and Contractor air and sea official shipments to post in support of multimillion dollar construction contracts. S/he operates motor vehicles to transport personnel, official visitors, cargo, or documents within the city and surrounding area. S/he maintains the vehicles in clean and serviceable condition. Completes daily vehicle logs and accounts for all gas expended. Overtime and weekend work will be required. Completion a College Degree in Business Administration, Social Science or Finance, International Relations or Construction related degree is required. Minimum three years progressive experience in managing logistics, freight forwarding, and customs clearance is required. Level IV (fluent) speaking/reading/writing both in English and Bahasa Indonesia are required. Must be familiar with the Indonesian government’s policies and diplomatic privileges, Indonesian Customs and Traffic Code, Customs requirements and procedure for importation and exportation of goods shipments. Familiarity with local traffic laws and patterns. Must know and be able to navigate to commonly known places of interest such as main government buildings and hotels, main road intersections, main common tourist points of interest. Must have good organizational and interpersonal skills. Must be tactful, yet effective, in dealing with host country Customs, immigration, border and other officials, and with officials of shipping, packing, and transfer companies. Ability to negotiate best prices and services. Must have a valid driver’s license (SIM B1.) – A copy must be attached to applications. Must have Strong knowledge of all Microsoft Office suite products, specifically MS Word, Excel, Power Point and Outlook. (Max.500kb in MS Word or PDF format). This entry was posted in Assistant and tagged Jakarta by . Bookmark the permalink. This is a very good jobs, and I really interesting for this vacant.